Martin Heidegger: "... at bottom, the ordinary is not ordinary; it is extraordinary." Various people have taken credit for suggesting to Andy Warhol that he paint soup cans. According to Ted Carey (a close friend of Warhol during the late 1950s/early 1960s), it was the gallerist Muriel Latow who came up with the idea for both the Soup Cans and Warhol's money paintings. On 23 November 1961 Warhol wrote Latow a cheque for $50 [more than $300 in 2010 terms] which, according to the 2009 Warhol biography, Pop: The Genius of Andy Warhol , was payment for coming up with the idea of the soup cans. 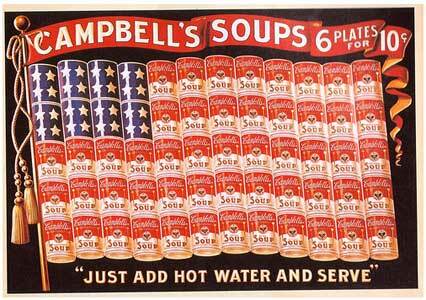 The Campbell's Soup Can paintings weren't Warhol's first Pop paintings. He had previously done works based on advertising imagery and comic strip characters which were shown for a short period of time as part of a window display at the Bonwit Teller department store in April 1961. But when he heard that another artist, Roy Lichtenstein, was painting comic strip characters as well, he needed new subject matter. The new subject matter would be soup cans. According to Warhol's friend, Ted Carey, it was Carey who first saw Lichtenstein's paintings at the Leo Castelli Gallery and after seeing them "went right over to Andy's house" to tell him about the paintings. In Carey's account Warhol was convinced that Lichtenstein got the idea of painting comic strip characters from having seen Warhol's comic strip paintings at Bonwit Teller. It is unlikely that Lichtenstein saw Warhol's cartoon paintings at Castelli as early as spring 1961 as the gallery did not have any of Warhol's cartoon paintings at that time, but Lichtenstein could have seen them in spring 1961 in the Bonwit Teller department store window. Although Lichtenstein had been using comic book imagery in his paintings since 1957, he did not do paintings of comic strips that featured speech bubbles until he painted Look Mickey. According to art writer Avis Berman, "From the accounts of witnesses, it seems clear that Look Mickey, Lichtenstein's first surviving Pop painting, was executed in mid to late June of 1961." (AV122) If that was the case, then Warhol was the first of the two painters to incorporate speech bubbles into their paintings and the first to display them publicly. Timewise, it was possible that Lichtenstein adopted the speech bubble after seeing Warhol's paintings but improbable, given his denial. There's no hard evidence that Lichtenstein copied Warhol's idea, as Warhol apparently believed. After seeing Oldenburg's "downtown" version of "The Store" Carey invited Warhol to dinner. 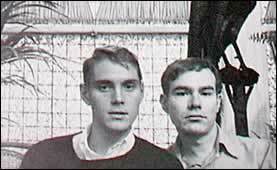 Warhol was too depressed to go so Carey and his boyfriend John Mann visited Warhol in his home after the dinner, along with the gallerist Muriel Latow. It was then that Latow allegedly came up with the idea of the soup cans as well as the idea of doing paintings of money. The above quote by Carey does not exactly inspire confidence in the accuracy of his recollection, particularly the way he says (after mentioning the money painting idea) "So then either that, or, she [Latow] said" that Warhol should paint "something like a can of Campbell's Soup." The soup cans are added almost as a afterthought by Carey to his story about Latow coming up with the idea of Warhol painting money. Was Carey confusing Latow's idea of painting money with the soup cans? If Latow came up with both ideas at the same time, was Warhol's cheque a payment for the soup can idea or the money painting idea or both? There is an alternative version of how Warhol came up with the idea of painting money that is worth examining since if Carey was wrong about the money idea, he may have been wrong about the origination of the Soup Cans as well. According to Warhol's friend, the filmmaker, Emile de Antonio, it wasn't Latow who came up with the idea of painting money. It was Warhol's first dealer, Eleanor Ward, who originally suggested it. The Andy Warhol Cat. Rais. refers to de Antonio's version, stating that "A different account credits the idea of painting money to Eleanor Ward. According to Ward and Emile de Antonio, Ward had promised Warhol a one-person exhibition at Stable Gallery if he would paint her lucky two dollar bill." 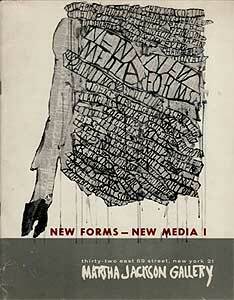 The statement in the catalogue raisonné is footnoted "Smith 1986, 512; Bockris 1989, 111." This refers to an interview with Eleanor Ward by Patrick Smith in Andy Warhol's Art and Films and to a quote by Emile de Antonio in Victor Bockris' biography of the artist - The Life and Death of Andy Warhol . In his book, Bockris quotes de Antonio as saying that he took Ward to Andy's house and said, "Well, come on, look here, Elinor [sic], are you giving Andy a show or not...?" and Ward then "pulled out her lucky two-dollar bill and sort of waved it in his face and she said, 'Andy, it just so happens I have November, which as you know is the best month to show, and if you do a painting of this two-dollar bill for me I'll give you a show.'" (LD150) Yet, in the actual interview that Ward gave to Smith in the other cited source, Andy Warhol Art and Films, Ward, herself, simply states that "I had given him [Warhol] my lucky two dollar bill to do a painting for the first show." (PS512) This has been interpreted to mean that Warhol agreed to do the painting in exchange for the show, however, an equally valid reading of Ward's statement would be that she just wanted him to do the painting to display in the show, along with his other paintings. In the Smith interview Ward credits the idea of doing a Warhol show to her "guardian angel" and indicates that it was John Bedenkapp who was with her when she asked Warhol to do the solo exhibition at her gallery rather than de Antonio, although she does note that de Antonio brought Warhol into her gallery at an earlier time. Ward indicates in the Smith interview that it was June 1962 when she came up with the idea of Warhol's exhibition. If this is true, de Antonio's claim that Ward gave Warhol the idea of painting two dollar bills in exchange for a show cannot be true. The Andy Warhol Catalogue Raisonné attributes Warhol's Two Dollar Bill paintings to the same period as his One Dollar Bill paintings - March to April 1962 - which was before Ward approached Warhol about the show. (RN131/147) She could not have been the person who came up with the idea as Warhol was already doing two dollar bills by the time she approached him about the show in June. As de Antonio's recollection may be inaccurate, Carey's version of events may, ultimately, be the most dependable i.e. that it was Latow, not Ward who came up with the idea of painting money and that at the same time, she also suggested the soup can idea. The first time that the Latow version was published was in an essay by Calvin Tomkins, Raggedy Andy, in 1970. Tomkins does not credit the story to Carey but doesn't indicate where his information came from. Could it be that Carey was simply repeating a story he had read in Tomkins' account when Patrick Smith interviewed him (Carey) in 1978? Or had he given Tomkins the information in the first place? 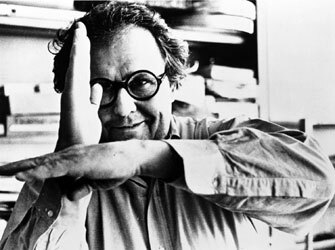 If Latow came up with the idea for the money paintings on the evening of 23 November - when Warhol wrote his cheque to her - why did he wait four months before he started working on the paintings? In Carey's version, Latow's main idea was the money idea not the soup can idea - the soup cans were added as an afterthought, yet Warhol went straight out and bought the cans of soup rather than beginning the money paintings in Carey's account. And what about the exhibitions Carey mentions as occurring around the time the soup can idea was supposedly first brought up? None of the exhibitions took place prior to 23 November. It's possible that Carey was confusing an earlier uptown version of Oldenburg's store which opened on 25 May 1961 at the Martha Jackson Gallery with the downtown version which opened 1 December 1962. It's also possible that the Rosenquist paintings he saw at the Green Gallery were exhibited in the gallery prior to the opening of Rosenquist's solo show on 30 January 1962. Yet Carey is very specific, at least in regard to the Oldenburg show, saying "I remember that right about this time that Oldenburg was having an exhibition downtown in "The Store" and claims that it was the evening of the day that he and Warhol visited "The Store" that Latow came up with the soup can idea. The review is of interest not only because Hess notes the importance and the extent of commonplace objects in the new art, but also because he links it to the Dada movement and expresses surprise that there was no work by "St. Marcel" i.e. Marcel Duchamp. Warhol's work would also be likened to that of Duchamp. If Warhol had managed to miss all the above exhibitions, he would have at least read about the new art in Life magazine which he was known to read. (He would later use images from Life for paintings such as his Race Riots series and two of his Suicide paintings in 1963. (RN292-3/383)) The November 24th issue of Life (coincidently dated the day after the visit by Latow - although the issue probably would have come out at least a week in advance) - featured a ten page article ("Art Crashes Through The Junk Pile") on the new artists (such as Robert Rauschenberg and John Chamberlain) who created art out of "junk," taking its inspiration (and materials) from urban detritus including cans, cartoons and bottles. "Across the U.S., mountainous piles of junk sprawl over city lots and rural fields, monuments to the affluence of the machine age. To most passerby, these wastelands of waste are only an eyesore. But to a large number of today's artists, they are a gold mine - both of inspiration and of materials. From the exhaust pipes, bedsprings, cans, cartons, bottles, dismembered toys, wheels and other debris of the trash heap, painters and sculptors are fashioning a startling species of contemporary art... Whatever the reaction to it, the junk movement is in full flood around the globe. A colossal assortment of its products is currently touring the U.S. in an exhibition organized by New York's Museum of Modern..."
"Assemblage is a new medium... It has indeed provided an effective outlet for artists of a generation weaned on abstract expressionism but unwilling to mannerize Pollock, de Kooning, or other masters whom they admire. Because of their concern for subject matter, painting and sculpture are not their only influences. Many cultivate attitudes that could be labeled 'angry,' 'beat,' or 'sick'; they inherit a malaise shared by authors such as Kaka, Sartre, Beckett, and Ionesco. Certain of their attitudes are comparable to those of the dada period; but why (especially considering the overtone of tired academicism which it can imply) is the prefix 'neo' more applicable in 1961 that it was in 1921?..." Assemblage has become, temporarily at least, the language for impatient, hyper-critical, and anarchistic young artists With it, or admixtures of it with painting and sculpture, they have give form to content drawn from popular culture: more recent equivalents, as the English critic Reyner Banham argues, of Boccioni's love of 'all anti-art manifestations of our epoch - cafe-chantant, gramophone, cinema, electric advertising, mechanistic architecture, skyscrapers.. nightlife... speed, automobiles, aeroplanes and so forth." If Warhol needed any further evidence that a new movement of art had begun based on "content drawn from popular culture" (and that, still being without a dealer, he was missing out on it) he needed only to have looked at the following week's issue of Life which featured the annual Carnegie International Exhibition of Art in his home town of Pittsburgh. Again the show focused on the new art, with photographs of the art taken in Schenley Park (presumably not far from Schenley High School where Warhol had been a student) and on the grounds of Warhol's alma mater, Carnegie Tech. Photos in the Life article included this one of Number 10, 1959 (left) by British artist William Turnbull juxtaposed against real archery targets on the campus of Andy Warhol's alma mater, Carnegie Tech. As if to rub salt into the wound, one of the people whose art was pictured in the Life article was Warhol's instructor at the university, Robert Lepper, who had used found objects ("assorted metal parts from cars and compressors") to create a work titled Engine. 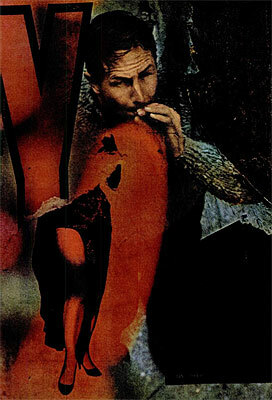 Also included was a photograph of Number 10, 1959 by British artist William Turnbull. The new figurative art movement was apparently international. Both Turnbull and Reyner Banham (whom Seitz quoted in MOMA's exhibition catalogue for the assemblage exhibition) had been members of the Independent Group in the U.K. during the 1950s. It was amongst the Independent Group members that "some of the earliest stirrings of Pop in England, and the coining of the term in the late 1950s, took place," according to art writer Marco Livingstone. (ML33) The first time that the words "pop art" were used in print was in an article by two other members of the Independent Group, Alison and Peter Smithson in an article appropriately titled "But Today We Collect Ads." The term was used to describe the popular art found in "today's glossies bound up with the throw-away object." "The fine artist is often unaware that his patron, or more often his patron's wife who leafs through the magazines, is living in a different visual world from his own. The pop art of today, the equivalent of the Dutch fruit and flower arrangement, the pictures of second rank of all Renaissance schools, and the plates that first presented to the public the Wonder of the Machine Age and the New Territories, is to be found in today's glossies bound up with the throw-away object." Although it is tempting to think that the Smithsons' article was one of the influences that caused Warhol to use advertising imagery in his early pre-Soup Can paintings, it is improbable (but not impossible) that he saw the article. 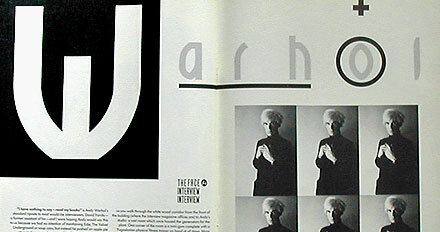 The magazine that contained it, Ark, was published by the Royal College of Art in London but had subscribers in 32 countries. Warhol might also have seen news of group shows in the U.K. by artists associated with the Independent Group such as "Man, Machine and Motion," "Parallel of Life and Art" or the landmark "This is Tomorrow" show of 1956. But if Warhol painted the soup cans because he ate soup everyday as a child, could Carey's story that Latow had come up with the idea, still be true? There was one other person present that evening - Carey's lover, John Mann. But according to Mann, Warhol painted the Campbell's Soup Cans not because he liked soup, but because he hated it. "Mann's recollection of the evening was different from Latow's. Muriel, he said, began by feeling Warhol out, asking him what he liked and, at one point, what he disliked. According to Mann, "If you asked Andy a question like that you got a pretty flippant answer, something off the top of his head. And as I recall, he said, 'I hate grocery shopping.'" As it turned out Mrs. Warhola often asked Andy to run across the street for groceries. 'So Muriel mentally took him into the A&P, down the aisles. It was all very languid and flip on Andy's part. 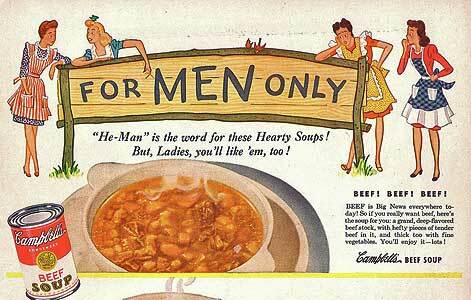 Before long, they got to Campbell's soup and Andy said he hated that, too. He said that his mother made it every day for lunch and after all those years, it was like, 'Oh, Mom - again?'" This is considerably different than Carey's version of the same evening. In 2002 Latow was interviewed for Scherman/Dalton's biography of Warhol and gave a slightly different version than either Carey or Mann. "That afternoon, Muriel Latow had gotten a phone call from Ted Carey. Andy was driving him (and Mann) nuts, said Ted. He wouldn't stop asking them where Muriel was; he wanted to pick her brain. In a rotten mood herself - her gallery was going out of business - Latow joined Ted and John for dinner. 'Then,' she said, 'we went to the gloomy, gloomy house, up the stairs and into Andy's rear studio, and he said to me 'Just tell me what to paint.' I told him it would cost him fifty dollars. Latow insisted that he write the cheque first. 'Andy sort of hovered and moaned in his miserly, dithering way,' according to Mann, but he eventually produced his Andy Warhol Enterprises chequebook scribbled a check for $50 to Latow, tore it off, and handed it to her. 'Give me a fabulous idea,' he said. According to Carey, "the next day Andy went out to the supermarket (because we went by the next day), and we came in, and had a case of every... of all the soups." (PS257) This would mean that Warhol started the Soup Cans (or at least preparation for them) on 24 November, the day after the Latow cheque. Warhol's mother provides another possibility for the inspiration behind the Soup Cans, but not necessarily because she served soup for lunch. In a 1985 interview for the Face magazine in London, Warhol said that flowers that his mother made out of tin cans when he was a child was the reason he did his first "tin-can" paintings. "I heard that your mother used to make these little tin flowers and sell them to help support you in the early days." The mention of "peach halves" is interesting because an early tin-can painting by Warhol is of a can of Del Monte Peach Halves which the Warhol catalogue raisonné has attributed to 1961, along with an early (possibly the earliest) Campbell's Soup Can painting, noting that "the borders in both works isolate the can as a discrete, depicted object rather than as an image embedded in an ad" which anticipates "the approach that Warhol was to follow in all of his Campbell's Soup Can series." (RN041) It would not have been a huge step for Warhol to go from painting a Del Monte can to painting a Campbell's soup can without depending on Muriel Latow to come up with the idea. During his lifetime Warhol was rarely asked about the origin of the Soup Cans in interviews and there is little mention of the paintings in the pseudo-autobiographical account of his life during the '60s, POPism: The Warhol Sixties . Although Popism was written in the first-person as though it was Warhol telling the tale of "the Warhol sixties" it was actually authored by his secretary Pat Hackett, working from taped interviews and independent research. Presumably, however, Warhol approved the final book before it went to publication. Although it doesn't cover the origin of the Soup Cans it does mention the origin of the money paintings. But is it the Carey version - i.e. 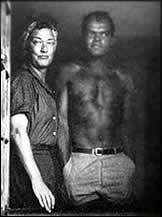 that Muriel Latow came up with the idea at the same time she came up with the soup can idea - or the de Antonio version - that Eleanor Ward promised to give Warhol a show in exchange for painting her two dollar bill - that is included in the book? Hackett/Warhol appear to refer to both versions. Popism seems to infer that there were two separate events. The One Dollar Bills were suggested at a different time by a different person than the Two Dollar Bills. Yet the catalogue raisonné attributes both types of paintings to the same period - March - April 1962. They assume that a drawing of the front of a two dollar bill and the back of a one dollar bill is the original drawing for the money paintings which Warhol probably produced after he spoke to Tibor Press about the possibility of doing a silk screen of money, only to be told that he couldn't use images of real money. Carey backs up the cat. rais. point of view when he concludes his recollection of the Latow evening by saying, "So that's how the idea of the money painting because he did... he did money paintings and soup paintings. I don't remember which he did first, but, I think they were done at the same time. And the first ones were done by hand; they were hand-stenciled. And, then, in order to do them faster, then, he started the...the screen, but the early ones were all done by hand..." (PS257) He doesn't refer to the one dollar bills and the two dollar bills as separate ideas, he just refers to the money paintings in general. In the few interviews in which Warhol is specifically asked why he started painting soup cans, he skirts around the issue or reverts to the stock explanation that he painted the soup cans because he always had soup for lunch. When asked by Glenn O'Brien in 1977 for High Times magazine whether he really did the soup can paintings "because you had it for lunch every day," Warhol responds, "Oh yeah, I had Campbell's soup every day for lunch for about 20 years. And a sandwich." (KG242) In a 1962 interview for a minor art journal, Art Voices, Warhol was asked "What do your rows of Campbell soup cans signify?" He answers "They're things I had when I was a child." (KG5) But Warhol's answer only goes so far. He may very well have had soup every day, but why put something on canvas just because you happen to eat it often? Why would painting a picture of something that one had for lunch everyday be considered art? If Warhol had soup and a sandwich for lunch, why choose the soup over the sandwich and why represent it as a pre-packaged can of soup rather than as a bowl of soup? Why paint 32 different flavours of soup, each on a separate canvas? Ronald Tavel, the scriptwriter of Warhol's early films, gave another reason for Warhol's Campbell's Soup Can paintings. He recalled that "When a friend of Andy's, Aaron Fine, dying of cancer in September 1962, inquired why he chose to depict the Campbell's soup can, Andy answered, 'I wanted to paint nothing. I was looking for something that was the essence of nothing, and that was it.'" (SH) Tavel's comment is similar to a comment made by Warhol's colleague of the 1950s, Bert Greene, who said in 1978 that "After Andy began his Pop Art, Aaron [Fine] asked him why he was doing it, and Andy said, 'It's the synthesis of nothingness,' which is, of course, the Dada reply. "(PS338-9) The ordinariness of the soup cans emphasized the "nothingness" of the subject matter. A soup can was a soup can was a soup can. The concept of "nothingness" was also being promulgated by the musician John Cage who had briefly studied under D.T. Suzuki and had been lecturing on Zen concepts of "nothingness" to students, artists and musicians since the 1940s, including a "Lecture on Nothing" presented at the Abstract Expressionists' hangout, The Club in c. 1949/50. (RG) Although Warhol probably never attended The Club, he was familiar with the downtown art scene as he had tried unsuccessfully in 1952/3 to join the Tanager Gallery on East 10th Street. Cage also taught at The New School in New York during 1956 - 58 and although the classes were geared toward musicians, many artists were known to attend, including Allan Kaprow. Warhol hinted at another reason for choosing the soups as subject matter during a 1963 radio interview for KPFK conducted by Ruth Hirschman. In that interview Warhol indicated that the soup cans did not have a symbolic influence and were chosen randomly. Ruth Hirschman: "One of the things that I've heard most discussion about, especially in relation to your work, is the question where do you get your themes from? The Campbell's soup show showed here, and now, of course, the Elvis Presley show; and watching people move around the Ferus Gallery, especially art instructors from colleges who are trying to explain it to their students, and they usually talk in terms of social significance - this is the - this is an aspect of our culture that he's painting - would you go along with that? Do you consciously think of like 'What is the symbol of our culture?' when you did the Campbell soup show?" Ruth Hirschman: "Are they simply objects that move you?" Ruth Hirschman: "Andy they're chosen at random." Nathan Gluck recalled that Warhol's first show at the Loft Gallery in New York in 1954 consisted of crumbled pieces of paper that Warhol dropped upon the floor. Gluck recalls, "Andy had taken paper. I can't remember if he drew on it or what, and, then, he would fold it every which way, and they were just stuck around on the floor... I remember just: 'Oh crumpled paper! God! Andy, do you think anybody will buy that..." (PS329) Gluck could not recall whether the papers were thrown or placed on the floor and the impression one is left with is that the papers were left on the floor randomly in a Dada fashion rather than in neatly arranged patterns. Were Warhol's Soup Cans a modern expression of the Dada concepts of randomness and chance? The new art covered in Life magazine was often compared to Dada (including in Life magazine, itself, as already noted) and prior to coming up with the term "Pop," the work of artists like Oldenburg and Rosenquist was being referred to as "neo-Dada." It would have been difficult for an artist during the fifties and early sixties not to be familiar with the concepts of chance and randomness. The Abstract Expressionists had experimented with chance in the form of automatism or automatic painting in their quest toward representing universal concepts of truth and beauty abstractly during the 40s. John Cage composed music using chance techniques and lectured extensively on the subject during the 40s, 50s and 60s - including at the Subjects of the Artist School, The Club and the New School. (CW47/JC197) Cage's most famous piece, 4'33", featured a pianist sitting down at the piano without playing a note while the random sounds of the environment became the composition. In other pieces Cage used found objects as instruments during his compositions. During the KPFK interview quoted above, Taylor Mead, who was with Warhol during the interview, summed up Cage as "an artist for technicians, for freeing you technically maybe, to wig out on anything you feel like, bongos or piano wires or alarm clocks or things..." Did Warhol answer "Yes" to the KPFK interviewer when she asked if his Soup Cans were chosen randomly because he wanted his Soup Can paintings to reflect the Dada concepts of randomness and chance in a similar way as Cage's music and theories? Both Warhol and Duchamp's art could be described as a sort of anti-art. Duchamp's Fountain (judged the single most influential work of art of the 20th century in 2004) was a signed urinal. If a urinal or a painting of a soup can could be art, than anything could be art. The concept was more important than the image. In Duchamp's words, "what interests you is the concept that wants to put fifty Campbell soup cans on a canvas" rather than the cans themselves. In contrast to the pre-Pop art movement of Abstract Expressionism with its abstract representations of universal concepts of truth and beauty, Warhol's Soup Can paintings seemed to be purposely (and ironically) meaningless. The flavour of the soup might have varied but, as Lippard noted, "every Campbell's soup can" appeared to be similar to "every other Campbell's soup can." Even if Warhol did not have Dada in mind when he painted his soup cans, the paintings certainly reflected a Dada sense of irony. The difference between Warhol's Soup Cans and Duchamp's readymades, however, was that Warhol represented an object on canvas whereas Duchamp exhibited the actual object as art. When Warhol put his soup cans on canvas, he worked from images of a soup can rather than the real thing. The Andy Warhol Catalogue Raisonné has identified three sources for Warhol's Soup Cans - photographs of real cans taken by Warhol's ex-lover Edward Wallowitch; imagery taken from a Campbell's magazine ad; and a logo from the stationary of the Campbell's soup company. (RN) Of particular interest are the Wallowitch photographs. It has been assumed that Warhol came up with the idea first and then had Wallowitch take the photos. But what it if happened the other way round? Could Wallowitch have been working on still-life photographs using commonplace objects such as soup cans prior to Warhol using the idea himself? It is ultimately impossible to come up with a definitive answer as to why Warhol painted his Campbell's Soup Cans. It's probable that Latow suggested the cans in the first place, but it was Warhol who chose to accept her suggestion. By accepting the idea, what was he hoping to achieve? The cryptic answers that Warhol gave to interviewers when he was asked about the Soup Cans obfuscated rather than clarified his reasons for doing them. Warhol's stock answer - that he had soup everyday - was not much of an answer at all as it did not explain why eating something everyday entitled it to become a work of art in the first place. Were the soup cans chosen as subject matter because they were "recognizable to almost everyone" as Latow supposedly suggested or were they chosen as a commercial icon that was as American as Jasper Johns' Flag? Were they random images representing "the synthesis of nothingness" or were they simply reflecting the artistic trend at the time of using commonplace objects or found imagery as subject matter? A soup can was a soup can was a soup can - or was it? Regardless of why he chose soup cans as subject matter, Warhol - by representing something as ordinary as a soup can on a canvas - demonstrated that "at bottom, the ordinary is not ordinary; it is extraordinary."